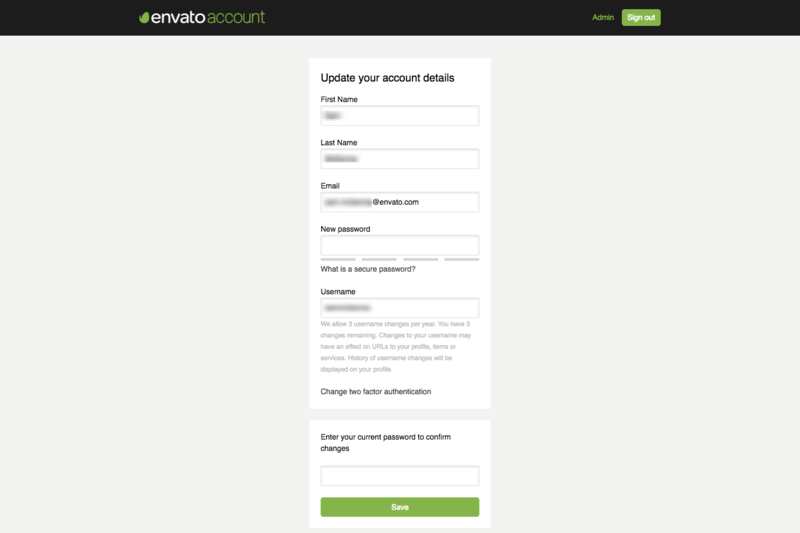 Login to your Envato Account (click Sign In in the top right corner). Click Profile in the drop-down menu. Then, click Envato Account settings. You'll need to sign in again as a security measure. Enter your password again to confirm the changes, then click Save.